With so many young people excelling in the culinary field, it is a disturbing trend for some of the less accomplished adults. The mania for outclassing others in the kitchen is sweeping people all over the world. Masterchef is one of the programs that encourages young talented people to make than fitter than ordinary cooks. This mastery of cooking is just the next step for dominating the field of culinary arts. For Masterchef, it has been a potboiler season as there was a sweet surprise right at the end as self-effacing medical Dr Saliha Ahmed was crowned the winner of the prestigious cookery contest. Dr. Saliha Ahmed, 29, impressed the judges with her Pakistani-Kashmiri-inspired three-course meals and succeeded in the finale. She was born to Pakistani parents in Watford and belongs to a family of doctors with her parents working as doctors at NHS, sister also being a doctor, and a brother who is a student of medicine. Her extended family lives in Lahore and Rawalpindi. In an interview, she said that it has been a long journey for her as she continued to work as a full-time doctor at the National Health Services (NHS). She had a family to look after and never had time to apply for the show despite having a lot of interest in cooking. She said that her family supported her throughout the endeavor and it’s been worth it. She was crowned the champion of Masterchef 2017. Saliha links her achievement to her family’s craze of cooking. Her parents and mother-in-law belong to a Kashmiri background and they are brilliant cooks. For final, she made the recipe that was taught to her by her mother-in-law. 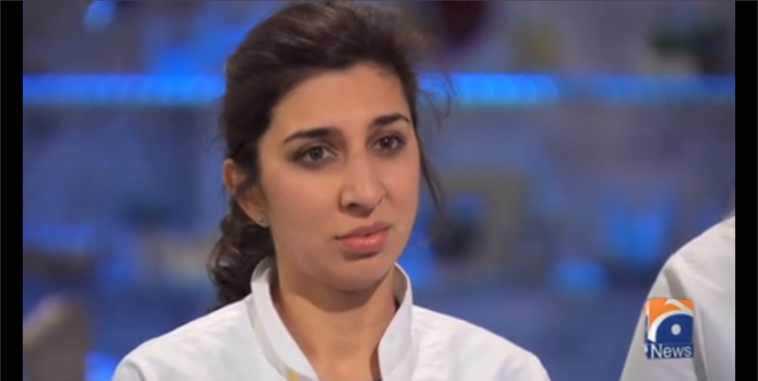 Dr. Saliha says she couldn’t have become a celebrity chef if her family hadn’t supported her. Dr. Saliha has no plans of giving up on her profession as a doctor because it’s her passion but she wants to write cook books and maybe do some TV shows on the side. Saliha has proved that Pakistani women are hugely talented and can excel in every field. Along with Dr. Saliha, there are many other female models for young girls who prove that no matter how bleak things appear at times, Pakistani women can defy all odds and can break stereotypes.